In a weekend filled with great derbies and ‘super-clásicos’ I was lucky enough to watch the “Cascadia Derby”, live. 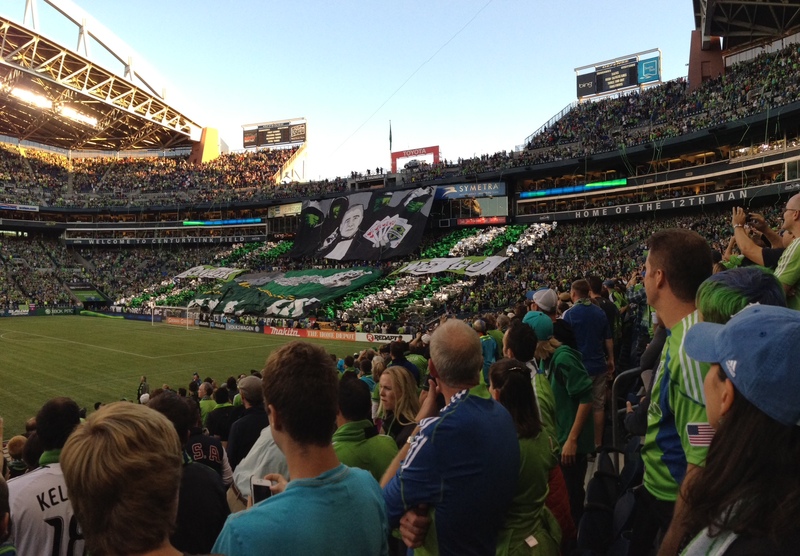 I rarely missed a Sounders home game in the past year or so. This one was special, my first taste of Seattle – Portland. People often ask me what is the atmosphere like at a football game in the US and how does it compare to the best in Europe. I would say Seattle Sounders provide the best atmosphere in MLS with an average crowd of roughly 38000 per game (MLS average is closer to 20,000). And this game had by far the best atmosphere ever at the CenturyLink field. 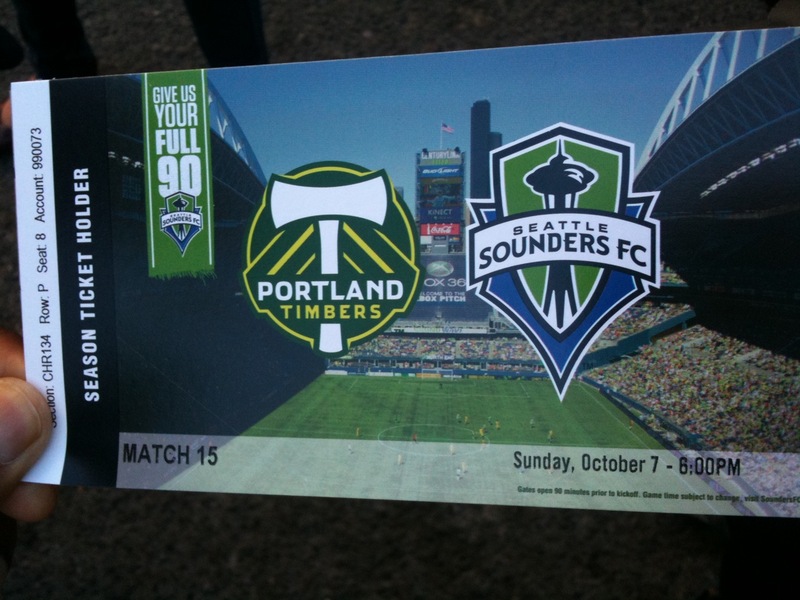 Seattle Sounders vs. Portland Timbers. Official announced attendance : 66,452. And it was noisy. About 3K-4K Timbers fans made the ~200 mile trip up north to the Emerald City. Although these teams have joined the MLS recently, the rivalry is much older when the two clubs were in the lower divisions of US soccer. The stadium started filling up around 5:30p. By 6p, it was almost full. Here are a couple of spectacular panorama shots taken by Sarah Rudd. The atmosphere was electric and buzzing (a lot more than usual). Former player and fan favorite Roger Levesque was felicitated in the pre-game. Later he sent the crowd berserk with his rousing introduction to the Sounders’ starting line-up. In terms of the Cascadia Cup, if Vancouver Whitecaps get a result at home vs. Portland next week, Seattle would retain the Cup.